The flagship All-Mountain SH-AM901 shoe features and armored racing shield and asymmetrical padded ankle collar with sidewall sole for better protection. Shimano has gone on an all-out assault on all mountain pedals and shoes. 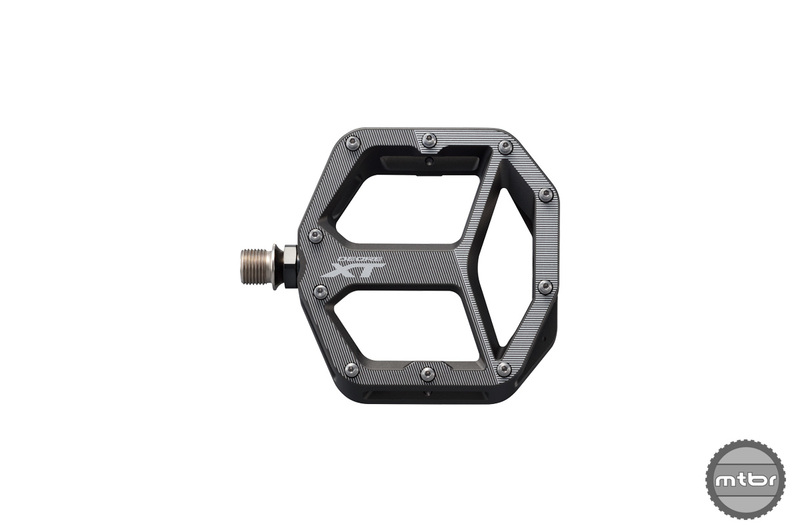 Known for their legendary, small platform XC and trail pedals, they’ve taken that robust technology and integrated it into wider platforms. 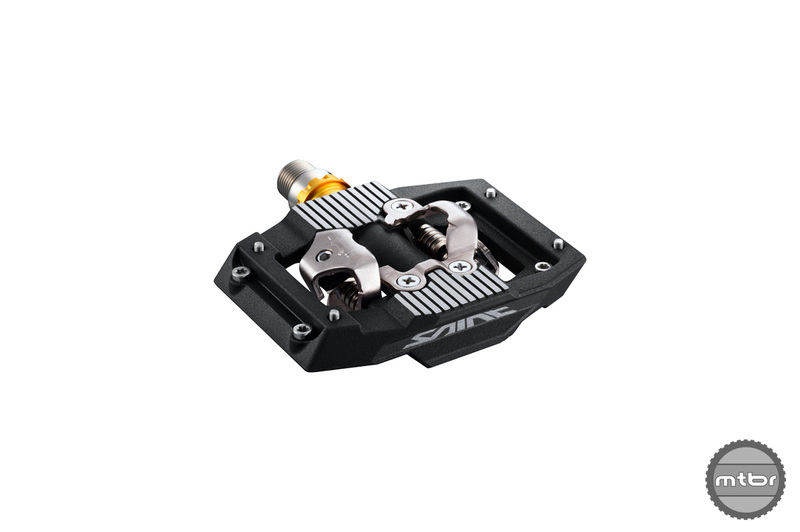 In addition, they’ve also developed a line of flat pedals at different levels and price points. They’ve recognized the growth of this market and have teamed up with Michelin to develop new shoe sole rubber to mate with their pedals. The flagship all-mountain SH-AM901 shoe features an armored racing shield and asymmetrical padded ankle collar with sidewall sole for better protection. Less water retention for quicker drying times and molded toe covers make this ideal for big mountain adventure rides in unpredictable conditions. On the heels of the SH-AM901 is the lower cost SH-AM701, also an SPD-only shoe. Unlike the SH-AM901, the SH-AM701 forgoes the lace shield, offers a harder sole, and uses an ankle gaiter to keep out debris and enhance protection. 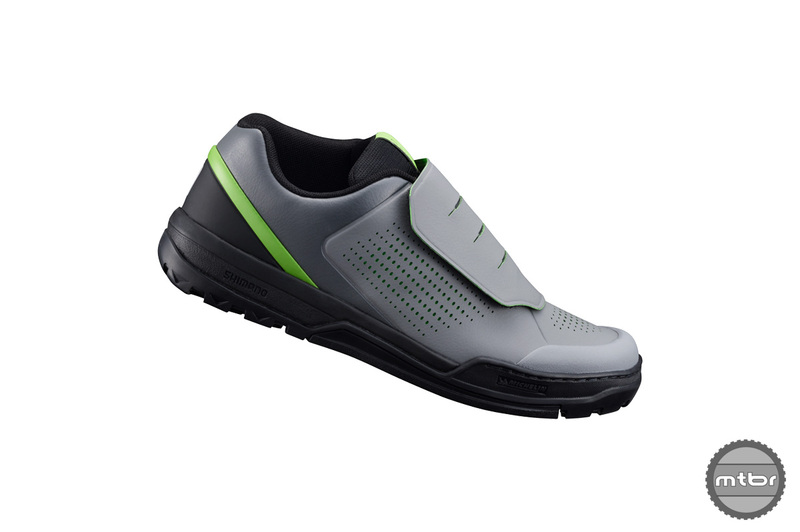 The SH-AM701 shoes weigh 408 grams per shoe and cost $130. They come in a lime green color as well. The SH-GR900 comes in gray-green and sell for $150. 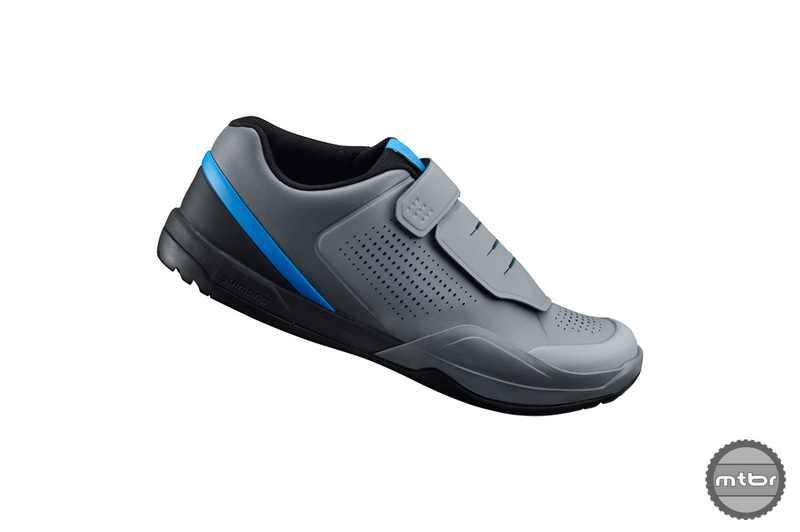 Also new for model year 2018 are two dedicated gravity shoes. The top-level SH-GR900 shares many of the premium protection attributes of the SH-AM901, such as the asymmetric raised ankle collar, armored lace shield, and molded toe cap, but the difference comes with the simplified sole construction. Not only do riders get superb grip and improved walkability from the Michelin rubber outsole, but the GR900 is 35g lighter than the AM901. The SH-GR900 is best paired with the new SAINT SH-M828 flat pedals. 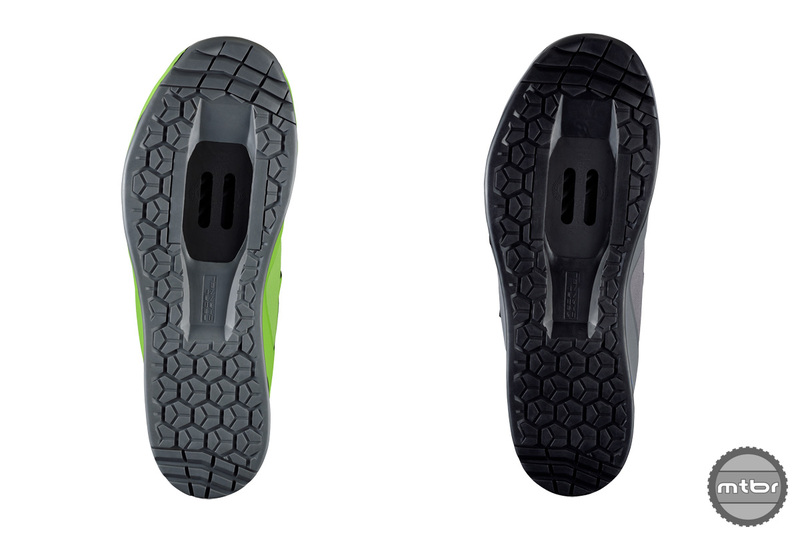 Much like the all-mountain line-up, the gray-green or blue SH-GR700 ditches the armored lace shield for increased ventilation and the aesthetic of a multi-purpose shoe. The SH-GR700 is also available in a dedicated women’s version with women’s specific sizing. the PD-M820 pedal offers the most complete integration of flats and SPDs to date with a large platform and traction pins. 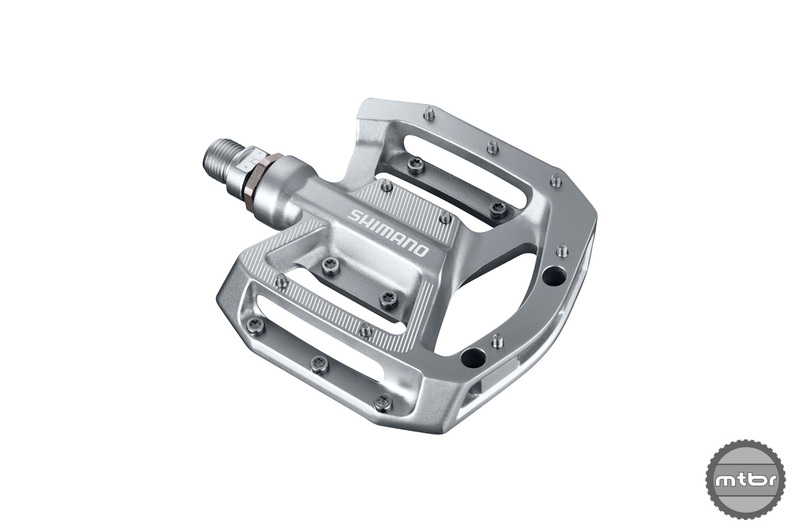 Shimano’s revised gravity pedals feature one SAINT-level SPD option and three flat pedal options at SAINT and DEORE XT levels, as well as a non-series option. 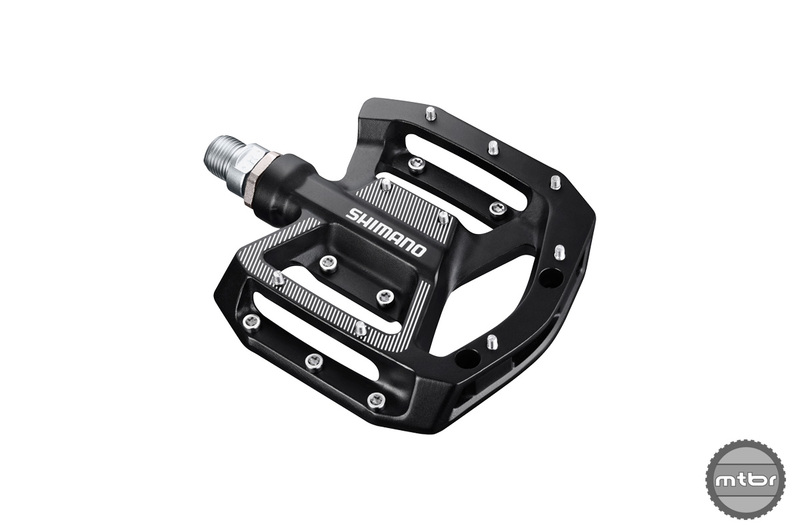 The SAINT PD-M820 is one half of Shimano’s most advanced downhill and enduro-specific pedals offering control, contact, grip, and durability with SPD efficiency and stability. The PD-M820’s wide alloy body is engineered to match with the SH-AM901 shoe providing a solid pedal-shoe interface. 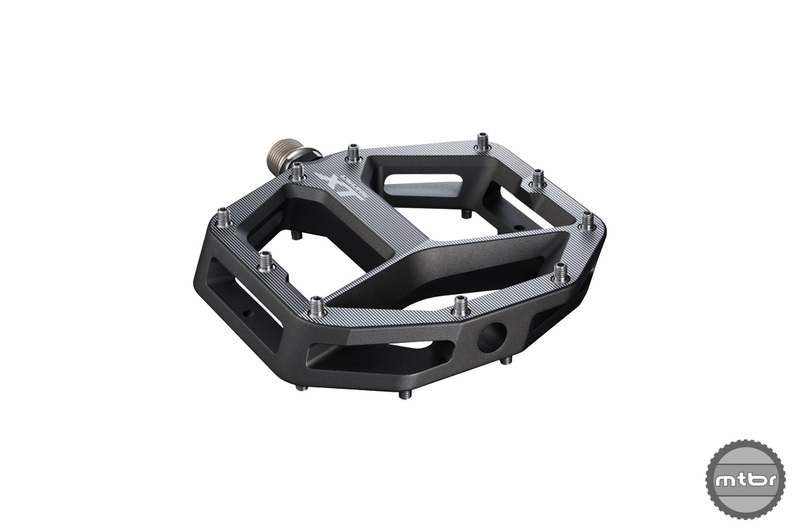 The double-sided durable alloy pedal body protects the SPD mechanism from impacts while the low-profile design lowers stack height and weight. Four adjustable pins per side offer grip when you’re not clipped in. 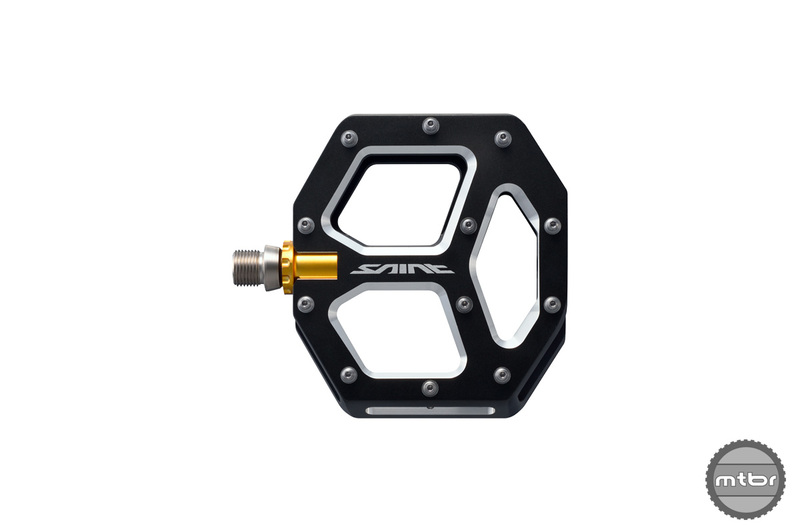 For those who prefer flat pedals, the SAINT PD-M828 is strong and durable with an eight-sided concave platform pedal, offering excellent grip and support. Twelve stainless steel pins per side (optional 3.5mm or 5mm) deliver the aggressive downhill or free-rider a balance of connection to the bike and pedaling stability. The PD-M8040 features a very open design for mud clearance. The DEORE XT PD-M8040 delivers flat pedal performance for trail riders. Offered in two sizes—small-medium (shoe size recommendation 36-44) or medium-large (shoe size recommendation 43-48). With 10 pins on either side and a slight concave design for comfort and efficiency, these trail and enduro pedals offer the long lasting performance associated with Deore XT. They are sold with optional 3.5mm pins or 5mm pins. The PD-GR500 pedals are the most affordable in the line at $80. Lastly, the PD-GR500 builds on the reputation of its predecessor, the PD-MX80, as a Shimano-branded durable flat pedal for entry-level trail and all-mountain riding. 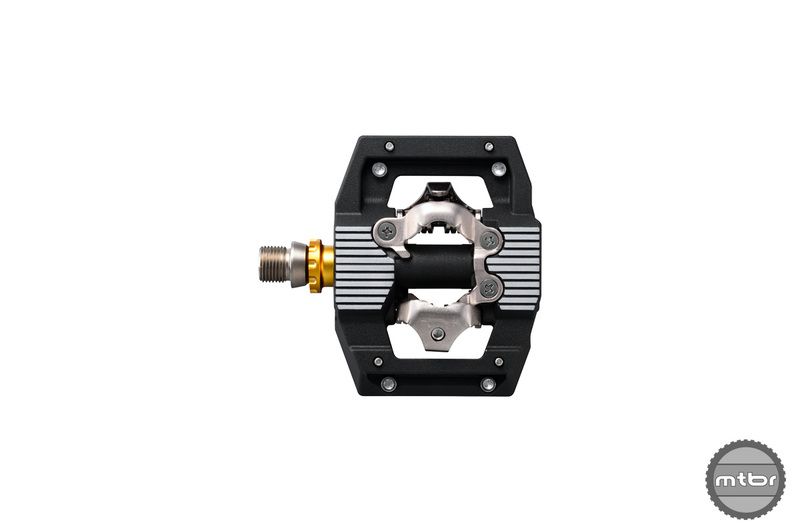 The PD-500 features height-adjustable pins, low-maintenance sealed-cartridge bearing chromoly axles, and is available in black or silver options. The PD-M828 weigh in at 493 grams. Pricing and weights for the new line-up. For more information on the pedals visit bike.shimano.com. Get all the shoe beta at bike.shimano.com. SH-AM701 shoes weigh in at 408 grams a pair and cost $130. The SH-AM701 come in lime green color as well. SH-GR900 come in gray-green and cost $150. PD-M8040 features a very open design for mud clearance. PD-M828 weigh in at 493 grams. PD-M8040 come in two sizes and weigh in at 460 grams for S/M and 503 grams for the M/L. PD-GR500 pedals are the most affordable in the line at $80. PD-M820 offer the most complete integration of flats and spds to date with a large platform and traction pins. PD-GR500 pedals weigh in at 533 grams. 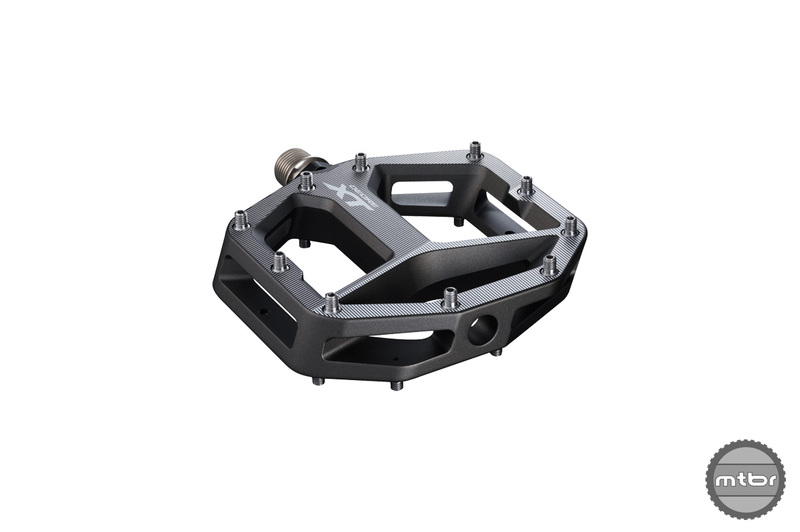 PD-M828 are premium flat pedals at $180. PD-M820 weigh in at 470 grams and cost $160. Pricing and weights for the line-up. Why are “new” designs so much more expensive than older stuff that is nearly exactly the same just a little heavier and made by different manufacturers?